John Chaplin gave Washington State University its most dominant athletic program ever: four Pac-10 cross country and track and field championships, a 202–15 record in dual outdoor track and field meets, and a NCAA Championship in 1977. All this was accomplished under the watchful eye of Chaplin ’63, head track and field coach for 21 years at WSU, from 1973 to 1994. Despite all the accolades and glory that came to the track team under Chaplin, he is only enamored with one record on his career résumé. Most people wouldn’t call the University’s sole NCAA championship irrelevant, but for Chaplin it was about more than just sports. He cared about his athletes’ academics. “In the end, you’re not going to make a living at a track,” he says. Chaplin was so invested in the student side of his athletes that he served as a university officer for athletic eligibility for 13 years and as an admissions officer for three years during his time at WSU. He even sacrificed a meet victory once in favor of one athlete’s academic career. The athlete was Josephat Kapkory ’95, a two-time NCAA indoor champion in the 3,000 meters. Kapkory was a chemical engineering major and had to take a test that interfered with a track meet. If he didn’t complete the test, he would have to wait an entire year to have a chance to do it again. So Chaplin held true to his word and put academics before athletics. The result: a one-point loss to University of California, Berkeley. Chris Whitlock ’86, who was a 1981 All-American in the mile relay and competed in the 1984 U.S. Olympic trials in Los Angeles, says Chaplin cared deeply about him and his teammates. Whitlock says Chaplin would even give suggestions to athletes about what classes they should take. Whitlock recalls one time when he skipped a class and immediately received a call from Chaplin. After receiving a tongue lashing from his coach, Whitlock soon realized how much Chaplin stayed on top of his athletes. 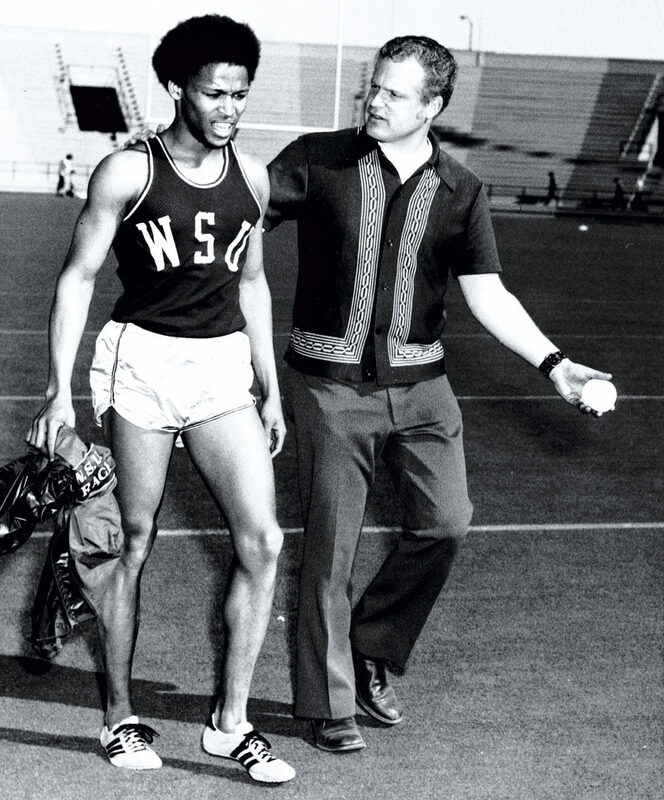 During his time at WSU, Chaplin was recognized as a leader in helping to bring international athletes to the United States to compete in track and field. 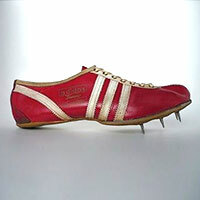 He recruited athletes from 31 different countries to Pullman, including ones from Greece, Kenya, Argentina, and Norway. At that time, track coaches mostly recruited locally but Chaplin saw untapped potential and talent internationally. “Chaplin opened the door for athletes and the world to come to the United States and run track,” says Ron Jenkins ’86, who walked onto the track team in 1983. Jenkins, who went by the nickname “Beaver” in college, says people questioned what Chaplin did, but he brought in a lot of talented athletes and took WSU track and field to the next level. Jenkins remembers one season where 18 future Olympians were on the team with him. Jenkins says Chaplin used to tell him, “Beaver, you can’t eat medals,” and helped him focus on graduating in order to succeed after his track career was over. Before Chaplin began coaching in Pullman, he was an athlete at WSU. He came to the Palouse after three years in the service and one year at Pasadena City College in California. He transferred from Pasadena to WSU and ran on the track team from 1961 to 1963. All three years he competed, Chaplin scored the most points on the team. Ed Jacoby is very familiar with Chaplin’s success on the track. Jacoby competed against Chaplin as a sprinter at the University of Idaho and coached opposite of him at Boise State University. Jacoby says Chaplin was one of the best sprinters around during his time as an athlete. After Chaplin graduated, he wanted to become a lawyer but, after coaching track at Wapato High School, he joined the staff at Oregon State University as an assistant. In 1968, Chaplin was planning on ending his coaching career to fulfill his goal of becoming a lawyer when a phone call from Jack Mooberry ’31, his WSU coach, changed all of that. Mooberry hired Chaplin as the head cross country coach and the rest is history. Jacoby says he and Chaplin have been friends for over 60 years and go fishing together. He says Chaplin’s directness and dedication to doing things his own way may have rubbed some people wrong over the years, but that doesn’t take away from his legacy. “There’s probably a lot of people that don’t agree with him and that makes no difference to him,” Jacoby says. Dylan Greene, a WSU senior, was sports editor and editor-in-chief of The Daily Evergreen in 2018.